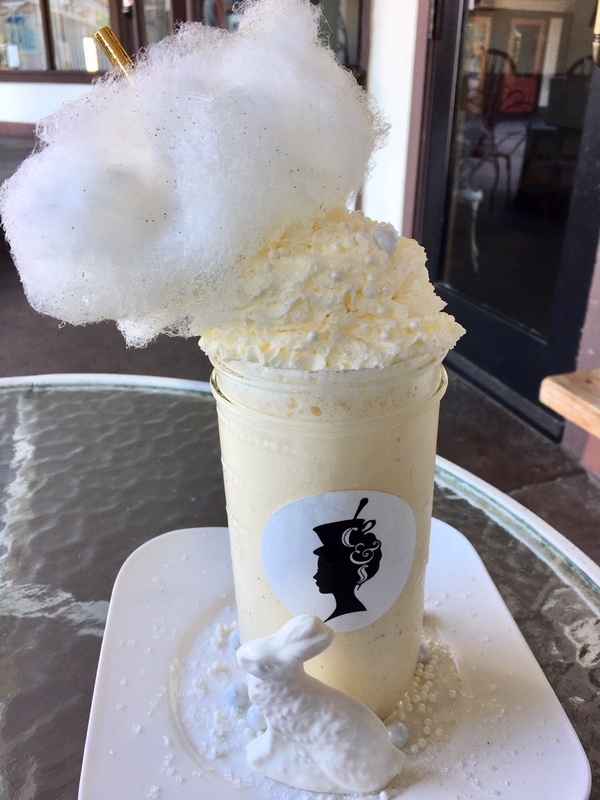 You may have seen the famous Unicorn Hot Chocolate or the Unicorn Shake on your feed once or twice. 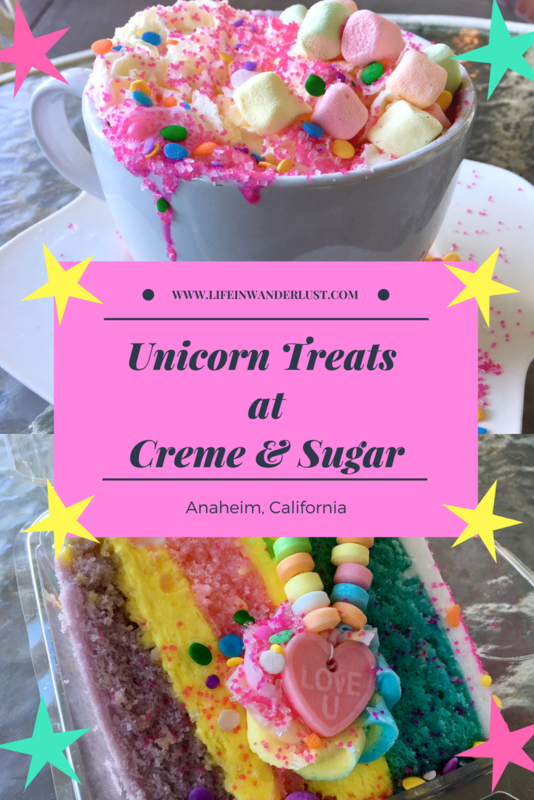 At least once if you follow me on Instagram since I posted my birthday treats from Creme & Sugar in Anaheim, home of the Unicorn Hot Chocolate. 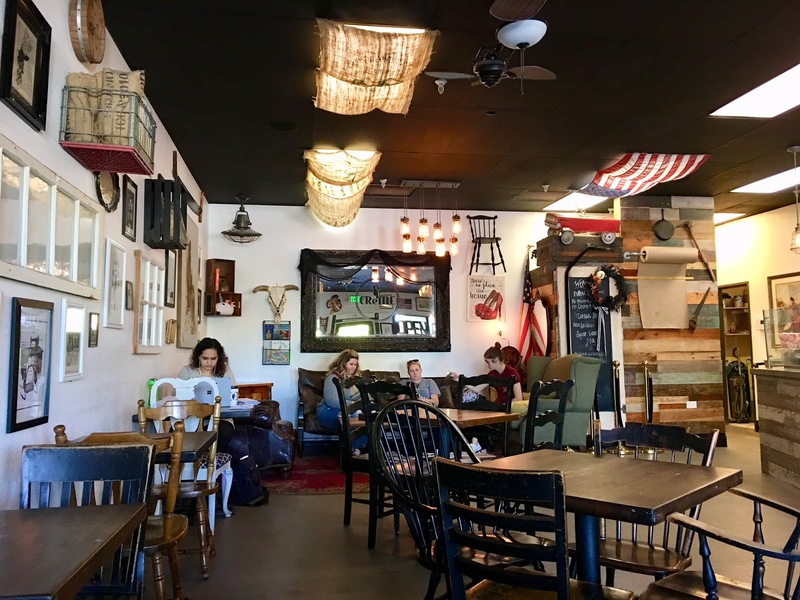 Orange County has become quite the spot for foodies with its diverse offerings of delicious and Instagrammable cuisine. Since I technically live in Orange County, I have to give a shoutout to @OCFoodFiend who's inspired me to try out new restaurants in the Orange County and Los Angeles area as well as introducing me to Instagrammable places like Creme and Sugar! I don't actually 'know' @OCFoodFiend but we've been following each other for a while and I like to think we're Instagram friends, ha! 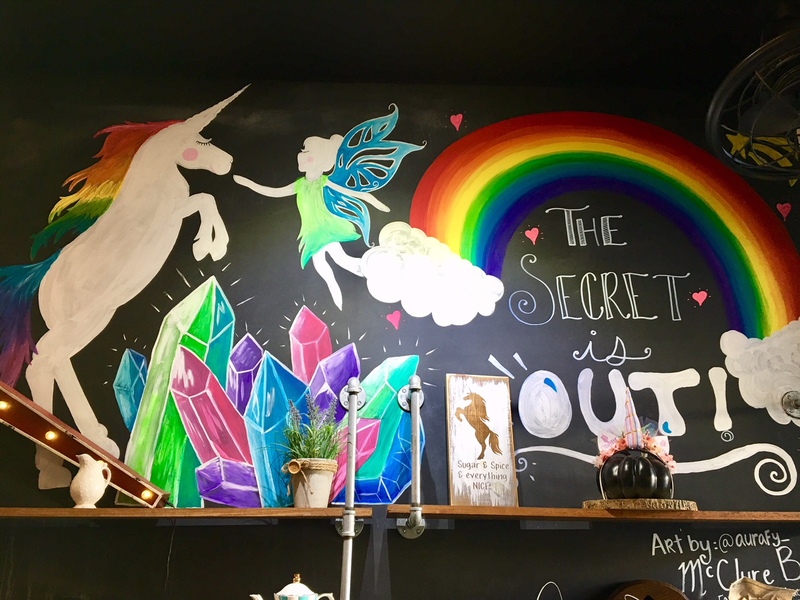 First and foremost, you should probably visit because of the Unicorn Hot Chocolate and or the Unicorn Shake. It's their token item and what made Creme and Sugar such a popular spot in the first place. You've probably seen their Instagram account trending or seen someone (like me!) post the ridiculously colorful treats they have to offer. One bonus fact is that they're opening a sister restaurant in the same shopping area called Sugar Gone Mad, a themed restaurant that's a mixture of Alice in Wonderland and Willy Wonka. The construction keeps getting extended so the opening date seems TBD. 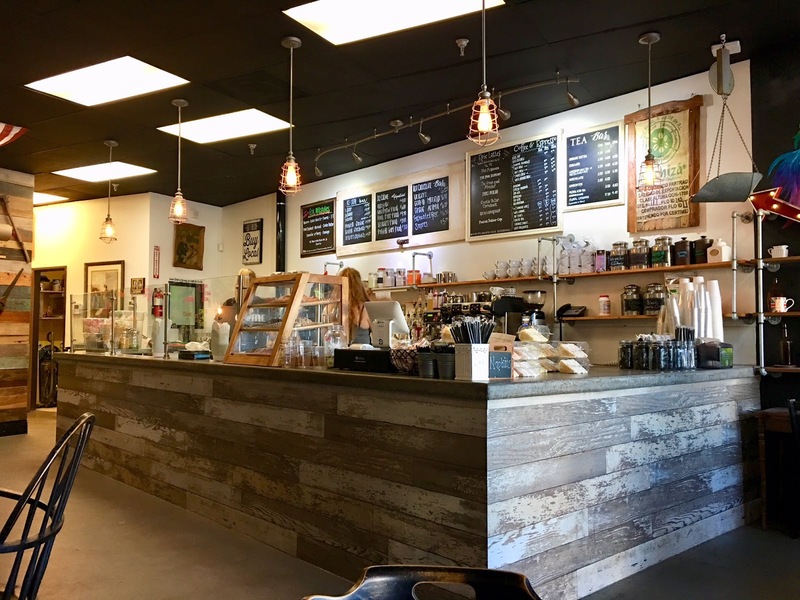 You're probably not going to Creme and Sugar for a good, rich, drip coffee (although they do have coffee) so I say order something insane, which is most of their menu. 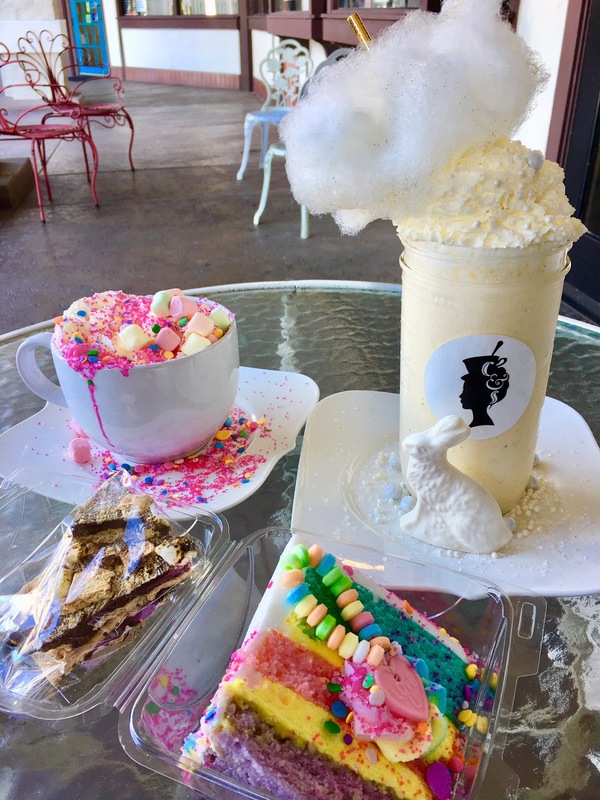 You can't go wrong with the Unicorn Shake or Unicorn Hot Chocolate by why stop there? 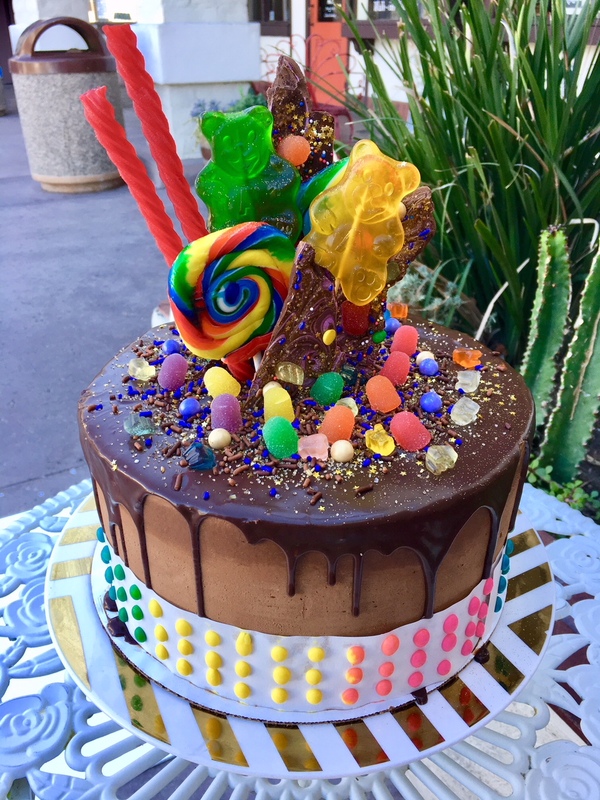 Add the Unicorn Cake and the Unicorn Bark while you're at it like I did. In a 'normal' setting, this would be a ludicrous price to pay for a non-alcoholic drink or treats, don't you think? 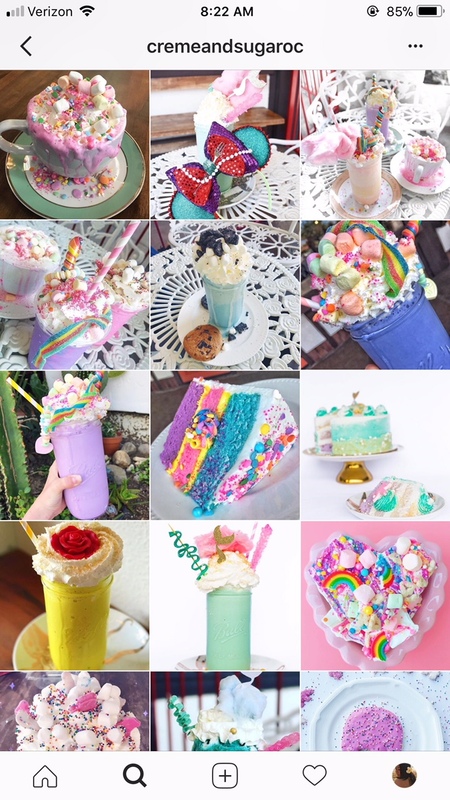 Other notable drink items are the Mermaid Shake, Cookie Monster Hot Chocolate, Circus Animal Shake and the limited edition seasonal drinks that are generally uber creative and Instagrammable! Don't forget they also have cookies, cakes, ice cream and sometimes cotton candy in a jar for treats. I love that they sell slices of cake in addition to whole cakes. 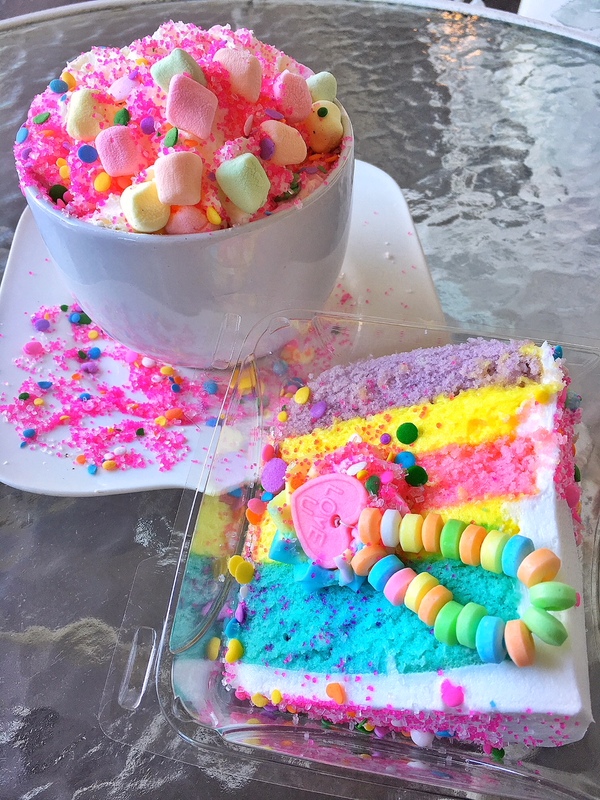 The cakes give the drinks a run for their money too with the bursts of color, sprinkles and candy decor. I've been wanting to visit Creme and Sugar for a while now and decided there wasn't a better time than my birthday weekend. Admittedly, I went for the unicorn treats so I can get a good photo out of it but I was pleasantly surprised with the service, atmosphere and most importantly, the quality. I think it's easy to lack in quality when your items are so popular since people are forgiving as long as they look good. However, the cake slice was moist (biggest pet peeve when the cake is dry, ugh!) and contrary to some Yelp reviews, it didn't taste too artificial. My husband grabbed a pack of S'Mores Bark and we could easily tell they use high quality chocolate. As for the drinks, if you're not too keen on the photography aspect, I would suggest the shakes instead of the hot chocolate. 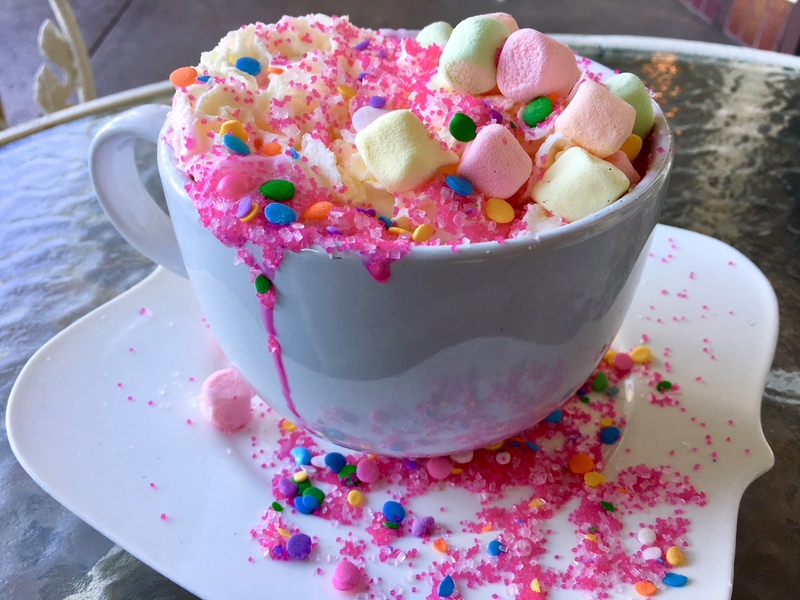 Yes, the Unicorn Hot Chocolate is adorable but it didn't taste like hot chocolate. Like I said, the shakes are much better. You really can't go wrong with a good shake, can you? Given, I didn't try the Unicorn Shake or the Mermaid Shake that are packed with color. The shake in the photo was cake batter flavor without much artificial coloring so my husband and I both enjoyed it a lot. Plus, they happened to be photographing it for their Instagram and gave it to us for free - thanks, Creme and Sugar! Would I ever go back? Maybe. It's a little out of my way so I don't see myself going there just to grab coffee and work at their cafe anytime soon. If I need a cake that will blow people's mind or if I'm in the area with friends, I may go. But for now, I'm completely sugared out! Oh gosh, those looks like cups and plates of diabetes. But also so so so good! !